The campaign launched three years ago and has gained momentum through billboards and bus ads around the city of Milwaukee that feature changing taglines each year. The taglines may change, but the message is always the same—love and acceptance of LGBT people. Mike Reid is a father of five. When his son Desmond Cotton told Reid he was gay, his father asked him if he was happy. When Desmond replied yes, his father said it was fine “as long as he was happy.” They speak on the phone every day. “I love my son with all my heart,” Reid says. Reid remembers having gay cousins and friends when he was growing up. Those relationships made him more accepting of his son and other LGBT people. He says he treats people how he wants to be treated. But that isn’t the case for all LGBT people who come out to family, friends, and their communities. Behind the stories of love is a deep-rooted issue that Acceptance Journeys seeks to address. 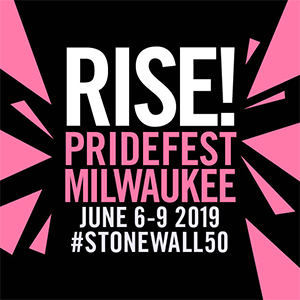 In 2009, the Centers for Disease Control came to Milwaukee to investigate the rising HIV epidemic among young African American gay and bisexual men. 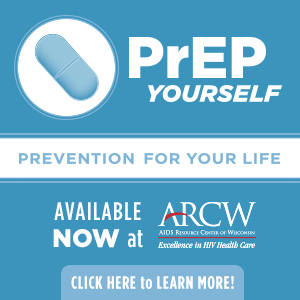 The CDC found that although these young men did not engage in higher-risk behaviors, they faced many other barriers to protecting themselves from HIV infection. At the root level, there was a direct correlation between anti-gay discrimination and HIV risk and transmission. The problem was worse for LGBT men of color because of segregation and racism playing a role in the stigma they faced. Acceptance Journeys set out to tackle the HIV epidemic by tackling anti-gay stigma, one of the main causes or social determinants underlying the epidemic. That goal turned into a widespread social-marketing campaign to share stories of family and friends learning to accept and value their LGBT loved ones. The campaign hopes to contradict some of the stereotypes and stigma that are associated with gay men and to create a public discourse on acceptance and love. While the billboards are the most visible part of the campaign, the most impactful aspect of the project may be the 64 story cards featuring mothers, fathers, friends, pastors, loved ones, and even Milwaukee Health Commissioner Bevan Baker and Milwaukee Mayor Tom Barrett telling stories about how they love and support an LGBT person in their life. Story cards are used to engage people in conversations about acceptance and to encourage them to think about where they are in their own journeys, varying from complete rejection to the utmost appreciation. The goal is not to tell people they have to be accepting, but to encourage them to think about acceptance and what it means to the people in their lives. The messages on these cards and billboards are based on careful research conducted by the Acceptance Journeys team in partnership with Dr. Shawnika Hull, assistant professor of journalism and mass communication at the University of Wisconsin-Madison. Hull used tools and strategies from traditional marketing and applied them to marketing for social change. First a community readiness assessment was completed to determine what level of acceptance the Milwaukee community actually held. This included focus groups and phone interviews with community members to gather opinions and test messages. “In order to develop messages that resonate with and influence the audience, we’ve got to have a deep understanding of the beliefs and motivations of the audience,“ Hull says. “We also recognize that this is a process—people don’t change overnight. We wanted to avoid alienating our audience, so the messaging started out with very subtle references to acceptance of LGBT people and has become more explicit over time,” she explains. By rolling out the messages slowly, the campaign hopes to bring its community along on a journey of acceptance. Brenda Coley, director of special projects at Diverse & Resilient, believes that allies hold a great deal of power in helping combat anti-gay discrimination. The former director of Centro Hispano High School on Milwaukee’s south side, Amy Crumble, is one such family member. She came to an Acceptance Journeys presentation because she wanted students at her school to feel safe regardless of their orientation. She was also interested personally, because her son Eli Cornier is transgender. Crumble saw discrimination and bullying through her work and through the eyes of her son. “Sometimes the bullying can be so bad that students cannot even concentrate on academics and school,” says Crumble. She thought of her son Eli. “That hit on a personal level,” she adds. 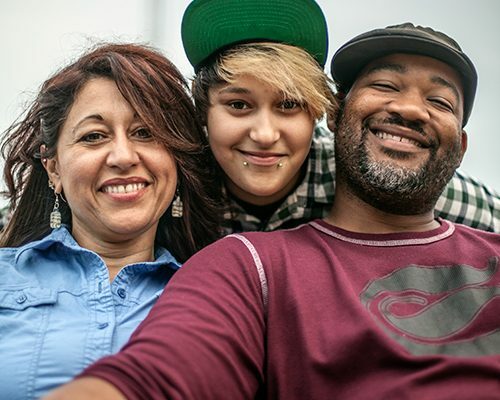 According to the Youth Risk and Behavior Survey of Wisconsin high school students, LGBT teens are far more vulnerable than heterosexual teens. LGBT teens experience more bullying and violence at school, have poorer physical and mental health, and are more likely to engage in risky behaviors. The Acceptance Journeys story cards featuring youth are used in schools and youth service organizations to promote acceptance. Khary Crumble, Eli’s stepfather, says he has witnessed a tremendous growth in Eli since their involvement with the project last year and Eli’s participation in the agency’s youth programming. “Eli has been more open with his friends and other family members since his participation, and the overwhelming response of support and trust that he has received has given him the needed courage to truly stand up for himself and others,” he explains. Crumble believes the project teaches people how to love and respect one another on a deeper level than what people’s minds, beliefs, and society deem acceptable. He said it broke their hearts to know that their son felt he had to hide who he really was. ”Being a part of Acceptance Journeys, in my opinion, has brought us closer together as a family. We are able to get a deeper and more personal understanding of Eli and who he is as a person,” Crumble says. The project is bringing families, friends, and loved ones closer. People are coming to the realization that we are all in this together and that LGBT people are everywhere. So to answer the question “Whose life can you change with love?”—the answer might just be sitting right next to you.